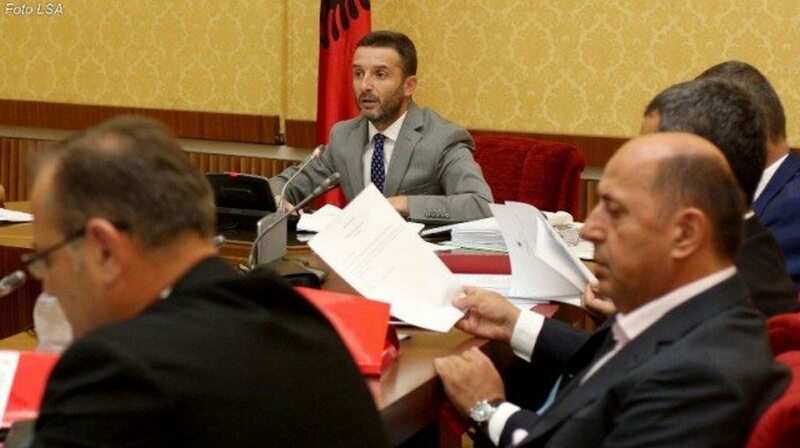 The majority in parliament has demanded the reopening of investigations on the so called Albania-Kosovo highway affair. The affair in question relates to the construction of this highway many years ago. The left wing accuses the right wing, which was in power at that time, of causing a financial damage amounting to 230 million euros. This was announced by socialist MP, Erion Brace during yesterday’s meeting of the parliamentary committee for economy and finance. Brace currently chairs this committee. According to him, an inquiry should immediately be opened on the enormous expenses made on this project. Brace made this request in front of the chairman of the High State Audit, Bujar Leskaj, who appeared in front of the committee to report on the activity of the institution that he leads. “We should understand how much money we have paid, what we have built, what is missing and how much money must citizens of this country pay to complete and maintain that road”, Brace declared. But, the head of the High State Audit has not replied to this request. Meanwhile, this affair is considered to be part of the so called “big affairs”. The socialist majority considered this affair as a priority during the time it was in opposition, targeting the leader of the current opposition, Lulzim Basha, who, at that time, used to hold the post of the minister of Transport. The High State Audit has also issued a report on this “affair”, identifying the theft of 230 million euros during the construction of this road. According to him, the theft of the money was done by using fictitious invoices, by increasing costs on paper, tax on incomes and through payments made for works which were never completed.